FAAD, ABD is a Board-certified Dermatologist with Advanced Dermatology and Skin Care Centre, and was awarded the Patient’s Choice Award again for 2011, 2012, 2014. He also won the Most Compassionate Doctor Award in 2014. He has been featured on many local television stations and was also asked to be featured on “The Doctors TV Show.” He is a platinum level cosmetic dermal filler injector with Allergan and a Expert Laser Speaker. 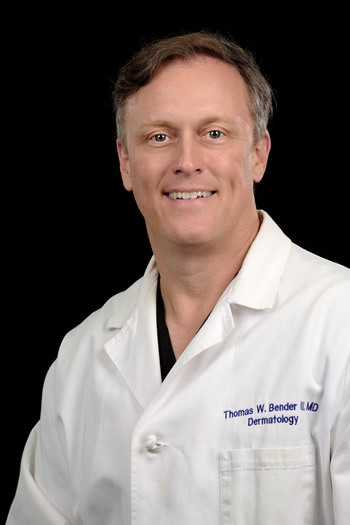 Dr. Bender attended the Air Force Academy for his undergraduate education graduating with an Electrical Engineering degree, he then completed medical school at Tulane University Medical School in 1996. Next he completed an internship in General Surgery ar Kessler Air Force base followed by Residency in Dermatology at Tulane Medical School. 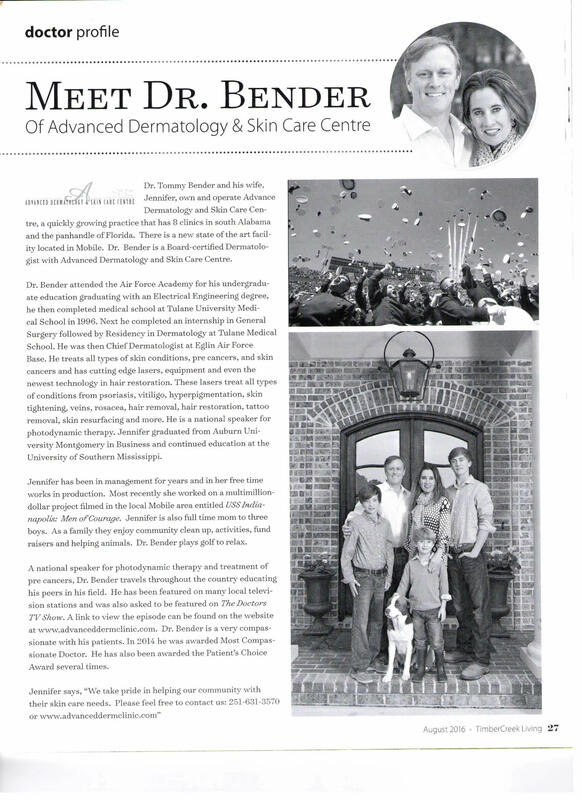 He was then Chief Dermatologist at Eglin Air Force Base. He treats all types of skin conditions, pre cancers, skin cancers, warts, acne, rosacea, and has cutting edge lasers, equipment, and even the newest technology in hair restoration. These lasers treat all types of conditions from psoriasis, vitiligo, hyperpigmentation, skin tightening, veins, rosacea, hair removal, hair restoration, tattoo removal, skin resurfacing, and more. He is a national speaker for photodynamic therapy. Dr Bender sees patients at the Mobile, Daphne and Bay Minette clinics.